VISALIA, CA - The Stockton Ports used an early three-run rally and continued to add on throughout the game to clinch a convincing 11-2 win to force a game five tomorrow night. The Ports got to Visalia starter Cole Stapler (L, 0-1) for three runs on five hits in the second and never looked back. Stockton (2-2) added on with single runs in the fifth and seventh innings to take a 5-0 lead. After Visalia (2-2) scored their first run in the eighth inning when Renae Martinez doubled and scored on a groundout by Jasrado Chisholm. But the momentum shift was short lived as Stockton would jump on Robby Sexton, taking advantage of an error to push across six runs, capped by a three-run homer from Sandber Pimentel. 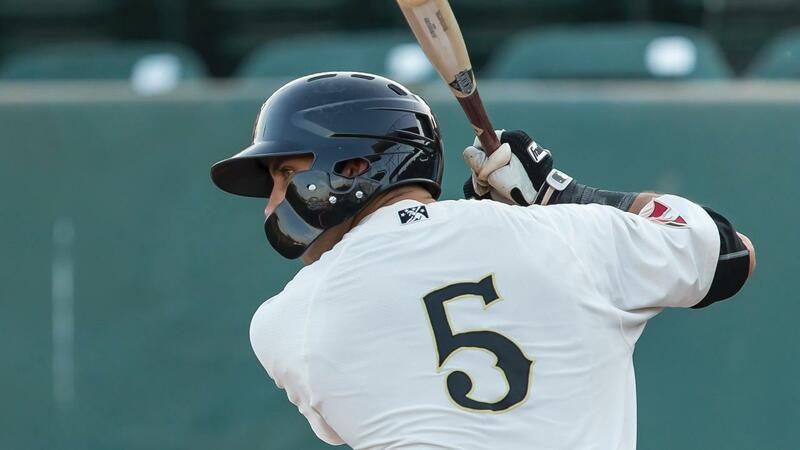 The Rawhide scored again in the bottom of the ninth when Daulton Varsho walked and was plated on a wild pitch, but the Visalia rally would fall short. Ports starter Grant Holmes delivered his best outing of the season for Stockton, tossing four no-hit innings while striking out five. He allowed only one baserunner: a first-inning walk to Chisholm. Zack Erwin (W, 1-0) picked up the final five innings for the Ports and allowed two runs on three hits while walking three and striking out six. Eight different Ports hitters recorded a hit and five different players had a multi-hit performance. Sandber Pimentel led Stockton with four RBI and two runs scored. Brett Siddall, Viosergy Rosa, and Luke Persico all had two hits and scored a pair of runs. The Rawhide mustered three hits: singles by Marcus Wilson and Pavin Smith and Martinez's double. Chisholm walked twice and recorded the lone RBI for the Rawhide. Visalia and Stockton will now play in a decisive game five at Banner Island Ballpark tomorrow night. The Rawhide will send LHP Sebastian Kessay (0-1, 13.50/0-0, -.--) against a to-be-announced Stockton starter. First pitch is at 6:10 PM and the live radio broadcast will be available on rawhidebaseball.com. The Visalia Rawhide are a professional baseball team in the Class A Advanced California League and are the only professional sports team in Tulare and Kings counties. The team has been an affiliate of the Arizona Diamondbacks since 2007 and is entering their 72nd year of play in 2018. The Rawhide renovated their home at Recreation Ballpark in 2009 and have since become the largest gathering of individuals in Tulare County, having set an attendance record for the seventh time in the past eight seasons in 2017. In 2018, the Rawhide look to continue their reputation for hosting competitive baseball while providing affordable family entertainment. To be a part of the 2018 Visalia Rawhide season, please contact the Visalia Rawhide Ticket Office at 559.732.4433, visit us online at rawhidebaseball.com, or follow us on Facebook (TheRawhide), Instagram (@VisaliaRawhide), and Twitter (@VisaliaRawhide). This story was not subject to the approval of the National Association of Professional Baseball Leagues or its clubs.